Located at 220 Seaview Court, Sunset House Condominiums have 92 units in a seven-story elevator-accessible complex. Sunset House Marco Island was built around 1969, and the residences range from 534 to 1,075 square feet. One of the first beachfront condos on the island, these stylish and modern oceanfront condos make it easy to relax in an atmosphere of tranquil serenity. For info on Sunset House's sister, check out Sunset House North. Owners can lounge about poolside, or be on the beach in a matter of seconds. The Sunset House Marco Island boasts of beautiful views and wonderful lazy days in the sun. For the not-so-lazy guests, there are numerous activities. Shopping, music, movies, fishing, land and water sports and so much more awaits everyone on this gorgeous spot on the Gulf. The white-sand beach and the refreshing salty air and surf are a steady reminder of the paradise which surrounds Sunset House. Each guest, no matter what hobby or interest, will have something to do and see while staying at this beautiful Marco Island property. Sunset House is near State and National Parks where many interesting plants and wildlife can be observed. Also near is the famous Esplanade Shoppes, where over 50,000 square feet of heavenly retail shopping at it best awaits the avid bargain hunter. 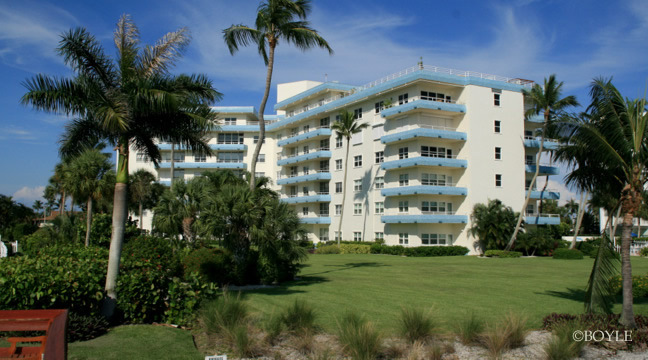 One of the original condos on Marco, Sunset House still captures the essence of what Marco Island is all about. Monthly maintenance fees for Sunset House condos range from $456 - $676 depending on the square footage. Cable, water, pest control, landscaping, master insurance and professional management are included in the the maintenance. Pets are not allowed at Sunset House, however, Gulfview is very comparable and allows one pet, up to 20 lbs. The minimum rental period in Sunset House is 30 days. Owners will find that the demand for rentals at Sunset House is high. Contact us for more information on typical rental rates. There are five different floor plans in Sunset House. 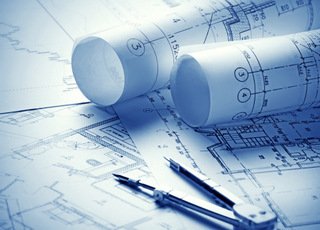 They range from studio to penthouse plans. Click here to see all Sunset House floor plans.